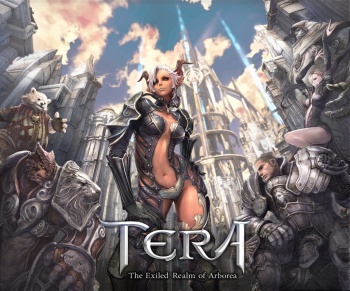 The fight to be Vanarch in Bluehole Studio's Tera isn't exactly what anyone would call fair. Being Vanarch in Fantasy MMO Tera is a big deal. Even though their term of office lasts three weeks, Vanarchs in this world have a lot of in-game authority with all the guild bennies that implies. Unfortunately politics on Tera's North American PvP servers is about as honest as Tammany Hall, and some guilds are farming their alts for extra points. The exploit is breathtaking in its simplicity. In order to even have a shot your candidate has to be a level 50 leader of a level three guild and pay a hefty fee, which includes a non-refundable point award payment. Once that hurdle is jumped, the next step is to create a farm guild out of your guild's alts, and feed them into the mincing machine for extra points. Points can also be earned from other actions - say, by doing deeds in the game world that earn praise from your fellow players -but kill farming has proven by far the easiest road to political victory. The points are then used by the Vanarch as currency, to pay for pretty much anything the Vanarch wants to do. They fund both the political campaign itself, and whatever policies the Vanarch chooses to carry out after the campaign is over. So long as the PvP guilds farm their points, not only are they more likely to be able to afford to run for the Vanarch slot, they're also going to be more powerful when they get it. In the Tera game world Vanarchs get to set tax rates, turn special vendor services on and off, and everyone in the Vanarch's guild gets special tricked-out speed mounts. Want to adjust the PvP settings on the server? Want to add special skill trainers or buff your clerics? Talk to the Vanarch; he has the power to get it done. It could be argued that this aspect of the game is a natural outgrowth of the Vanarch system. The official guide published by the developer says that "accepting bribes for voting is nice, but it's much more fun to do the bribing, especially if it means winning a vanarchy." So political victory in Tera isn't supposed to be clean; but whether or not the developer intended for things to get this dirty is an open question.